Below is a two-page Group of Eight (Go8) advertisement that is published in “The Australian” RESEARCH on 12 August 2016. RESEARCH is a first for “The Australian” with its digital edition promoted through The Wall St Journal and the Times and Sunday Times in the UK. 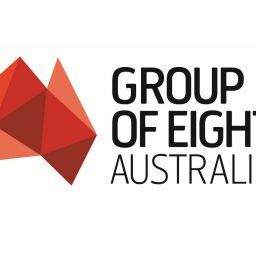 The Go8 is proud to lead the nation in defence and security research capabilities, and is also a leader in developing the required professional skillsbase for the critical sectors. Go8 members have the highest possible security clearance. This leads to the Go8 being unable to state publicly the majority of such work undertaken on its campuses. The redacted design of the advertising illustrates this point. …….Indeed we do want to talk about something we can’t talk to you about. Please click here for the full ad.